I have remade this cake now 2 times because of all the comments I am getting and I want to be sure the results are the same for you as they are for me. The cake in the picture I used a smaller bundt pan which is why it looks so tall, mine is about 8 cups. The cake will rise to the top of it. It will also fall slightly as it cools. The amount is also enough to make it in a bread pan. The flour amount is correct. This makes a delicious cake with a tart cranberry cake. Sprinkle the sugar lightly around the pan, do not let a bunch of sugar be in one spot. Think of it like adding flour to a cake pan for releasing the cake. 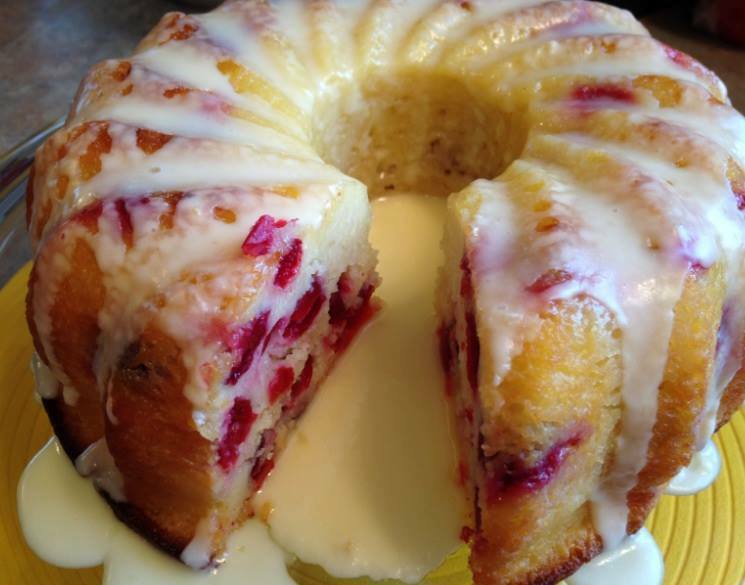 If the tartness of the cranberries is not your thing use Crasins instead for a sweeter cake.